Obama and his band of merry thieves continue to pressure the people and the States with misinformation. He claims the 36 or so states that have stated they don’t want Syrian refugees are not legally able to enforce their stances. Read HERE. Last time I checked the States had jurisdiction over their own borders and their own business. This amendment was designed to prevent Federal overreach. We suggest the Governors hold their Constitutional ground. Let the Feds threaten if they may but strength is in numbers. Politics is a necessary evil but our founders left us with a master plan, that if adhered to, will not fail us. It is the Supreme Law of he Land ~ The Constitution of the United States of America. This entry was posted in Federal Government, State Government, Uncategorized on November 28, 2015 by nixnewsfix. Police…… Turn Your Guns Over & Get a Prize ~ WoooHoooo! We’re scratching our heads over this one…. Greensboro police have asked residents, anyone over 18, to voluntarily turn in their weapons. That’s right, you heard it! This is actually happening in North Carolina, our home State! Read the article HERE. But then again, just last week we read that Greensboro police were halting all traffic stops for minor infractions like a taillight or headlight out. This is billed as their solution to “racial disparity” since a liberal UNC professor and his undergraduate researchers released information that black folks are four (4) times more likely to get pulled over by police (racial profiling) than white folks. What we can’t figure out is…. did anyone consider that a high percentage of minorities fall into a lower income category and may have a harder time maintaining their vehicles. Read the article HERE. This policy change to end racial disparity most likely treats the symptom, not the root cause of the illness. The “racial disparity” thing is believable, especially with all the liberal media hype. But the vulnerability of the public will be tested with this voluntary weapons disposal scheme. We are, most likely, preaching to the choir. However, these two Liberal Progressive moves in one city within days of one another, set off multiple alarms in our heads. Our Liberty is under assault in own backyard. The second amendment is being tested by a liberal Police Chief supported by a liberal Democratic City Council. Use this highlighted link to contact the City Council. Call and question their rational for supporting this program. Go ahead, I dare you. Let us know what they say! There is no ambiguity, hiccup or doubt in the above text, no interpretation needed. In their wisdom the authors of the Constitution, our founding fathers, feared we would, one day, need protection from a government “gone wild”. Seeing what is happening in Greensboro, the prudent gun owner should begin stocking up on ammo while the “sheeple” flock to the gun disposal bin for their consolation prize. Voluntary gun disposal is a ploy to gain complete control over a populous, it is waste of taxpayer money, and it does not curb crime. It only puts the innocent law abiding residents at risk by not having ample protection. Nothing good will ever come from big government. Things are getting interesting with ISIS now threatening our homeland. They have even released a list of cities they claim they may target. Relinquishing your weapons in a gun buy back program does not make the Top 10 list for preparedness (insert sarcasm). Germany began disarming it’s citizens in 1939 and then slaughtered 16 million Jews. More HERE. Beware! Though they are sold as such, programs like these are NOT about gun safety or curbing crime. They ARE only about government CONTROL over a compliant populous. Ya’ll think about it. We are. This entry was posted in Federal Government, Local Government, State Government and tagged 1st Amendment, 2nd Amendment, Christian Founding Fathers, City Council, Concealed Carry, Conservatism, US Constitution on November 15, 2015 by nixnewsfix. Is your way of life, guaranteed by the US Constitution, being threatened by institutions of higher learning and the politically correct indoctrination of our young people in public schools? The answer is YES and in some very shocking and accelerated ways. The 10 minute film you are about to watch is taken on site at three North Carolina university campuses. It involves a young journalist posing as a student who “feels damaged, offended, etc.” by pocket copies of our US Constitution being distributed in her dormitory lobby. This obviously is a journalistic effort to record each university’s reaction to her request to have the US Constitution removed from her residence hall because it is offensive. For instance, “it allows everyone to own a gun”. The various responses by administrators are just incredible with the journalist even requesting each administrator shred the document so “it could be kind of like therapy” for her. While she has the right to state her opinion she doesn’t have the right to trample on the rights of others. At least one of the University officials made that clear….. well, sort of. The video is put out by Jame O’Keefe, an American conservative activist. He produces videos designed to expose “academic, governmental and social service organizations” taking part in abusive or alleged illegal behavior. Exposing the real actions behind ACORN was one of his major accomplishments. Our First Amendment rights shall not be trampled on! The Daily News Fix recently focused on three (3) Kinston City Council members who shut down the public voice and proceeded to amend the City’s nepotism policy. None of them heeded the overwhelming voice and Will of the People. As a result, the lone incumbent lost her bid for re-election November 3rd. Each of the newly elected Council members have pledged to rescind the Nepotism Policy Amendment. But just because you have a few fresh faces doesn’t mean the entire body is liberty minded and ready for change. Wynn Whittington, who brought the Nepotism Policy Change, wrote a nasty column in the Kinston Free Press publicly slamming the Mayor, the Daily News Fix, and the President of the NAACP for opposing his three way power play. See the COLUMN here, the response the next day from the Daily News Fix here, and the Daily Haymaker’s spin on the matter. The Daily Haymaker is a website focused on “Conservative Common Sense Commentary on Politics, Economics, Government, Culture and other Aspects of Life in the Carolinas”. Good to know they agree. If we are to educate our children properly, especially in public schools, we must first teach them an accurate account of why, as far as Freedom and Liberty are concerned, America is the last holdout. We, and I mean all of us, must teach our kids why our Constitution is the supreme law of the land and the most powerful governing document ever written. Everyone wants to come to America. They want to come here for a better life (and the free stuff we are handing out doesn’t hurt their reasoning). Stop being so damned politically correct and demand the same from others, including your school system! It’s your job as parents to educate your own kids, not the government’s, which is the bulk of the problem! This is OUR country and OUR culture. We are fighting a losing battle. Generation by generation we are losing soldiers (in our youth) and gaining indoctrinated compliant cowards that will give our country away with a ribbon tied to it. If you don’t believe me now, you will later. This entry was posted in Federal Government, Local Government, State Government and tagged 1st Amendment, Amnesty, Christian denominations, Conservatism, Federal subsidies, Grassroots, Join The Fight, News, Patriotism, Politics, Radical Islam on November 4, 2015 by nixnewsfix. Councilman Wynn Whittington penned a scalding personal attack on the President of the Kinston-Lenoir County Chapter of the NAACP published in the Kinston Free Press (read his words) along with attacks on the Mayor of Kinston, local petition organizer Logan Thurman, and of course quite a bit about me. Mr. Whittington accuses those questioning his tactics of having too much “free time”. In his musings, I appear to be the main target and one of those “people who can’t seem to let it go”. Well, there is plenty of reason we must not “let it go”. Mayor Murphy hasn’t let it go either, decided he wasn’t going to take the attacks lightly, and posted his opinion and video on his website. Read and view HERE. Also, before I go too far, VOTE tomorrow, November 3rd. One Vote is all you need for Steve Ragan. You can do that, just one vote…..Steve has fought this nepotism deal from the beginning. Mr. Whittington has been silent on the public dis-rest over his own policy change… until two days before the municipal election. Conveniently and for political reasons he spoke out clearly in an attempt to moot the argument against the policy change. The Nepotism Policy Amendment allows family members of City Council members and the Mayor to be employed by the City, breaking a long standing common sense conservative policy against nepotism in the workplace. Since Councilmember Kelly Jarman is the only incumbent and candidate in the race who supports the Nepotism Policy Amendment, Mr. Whittington could not have timed his “guest column” in a more overtly subversive manner. The regularly planned City Council meeting for Monday, November 2nd (the night before election day) was cancelled due to lack of agenda items. So the public has zero opportunity to address Whittington’s comment for comments. Well done. Mr. Whittington speaks of all the successes we are having as a City. He also recognizes the problems we face. He mentions crime, gang violence, and high utility rates and attempts to minimize the Nepotism issue by stating, “…the recent nepotism policy debate has garnered more media coverage than the sale of power assets and related rate decreases, the possibility of bringing baseball back to Kinston, and quite possibly the West Pharmaceutical Disaster in 2003″. Uhhh… there’s a reason for that, W! He also stated that… “the nepotism policy didn’t make the cut in the recent Land Use Plan Study”. No it didn’t because Nepotism policies aren’t part of any Land Use Plan. As Chairman of the Kinston Planning Board, my fellow planning board members and I reviewed the Land Use Plan (checked it for nepotism) and made recommendations to City Council. He also stated candidate Gordon Vermillion didn’t agree on the nepotism issue. What he failed to mention is that of the eight(8) candidates running for three(3) seats on City Council only candidate and fellow educator Kelly Jarman agrees with his views on nepotism since she was one of three votes that amended the policy. The other seven(7) have agreed to rescind this troubled Amendment if elected. See this VIDEO. Mr. Whittington makes multiple moot points in order to justify his unpopular actions. His arrogant elitist attitude and obvious disregard for the residents of Kinston are disrespectful to say the least. In one failed swoop, he insulted the President of the NAACP, two concerned citizens who were exercising their right to redress government, and the Mayor of Kinston because they just “can’t seem to let it go”. The nepotism issue arose from Mr. Whittington’s line of questioning in City Council surrounding the fact his brother could not be hired because of he was elected to Council. 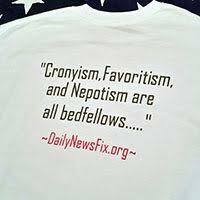 With very little discussion and no public input Whittington brought a motion to amend the Nepotism Policy. A few weeks later the amendment was ratified. He knows, as does Kelly Jarman, that nothing good can come from this amendment. So in reading Mr. Whittington’s column I find it interesting that almost every word is an attempt to stifle our First Amendment rights. According to him we should all just trust in his wisdom, shut up, sit down and forget about redressing our grievances because he doesn’t want to hear it. End of conversation. This issue will not go away. If the voices of the people can be shut down “just like that”, what’s next? We must be vigilant. 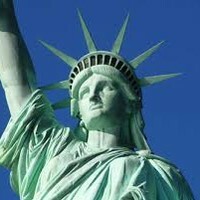 Is it obvious yet that We the People must be the guardians of liberty? That the intent of government, including elected officials, is to serve the people? It is NOT the intent that WE should serve government. This entry was posted in Local Government and tagged 1st Amendment, Cronyism, Get involved, Grassroots, Nepotism, News, Politics on November 2, 2015 by nixnewsfix.